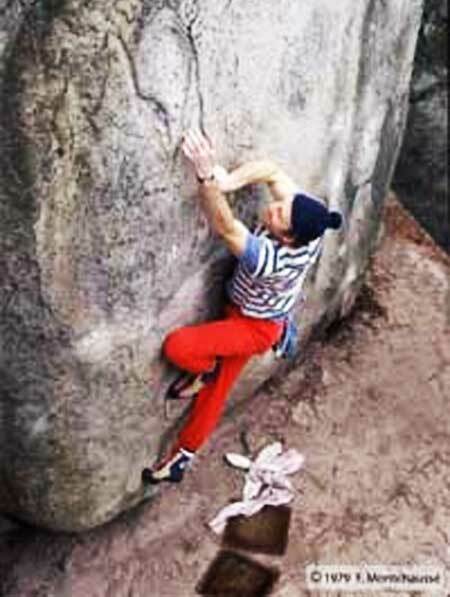 Pierre Alain, a young climber from Paris, is growing a passion for boulders in Fontainebleau. Soon he realizes that he is more efficient with sneakers than with “big climbing shoes” used for Alpinism. However, sneakers do not last long especially on the sides. Thus, he had to reinforce the sides himself with pieces of rubber. In addition, sneakers lack precision due to their round and large shape. Pierre Alain’s passion pushes himself to climb higher and to try harder and harder ways. 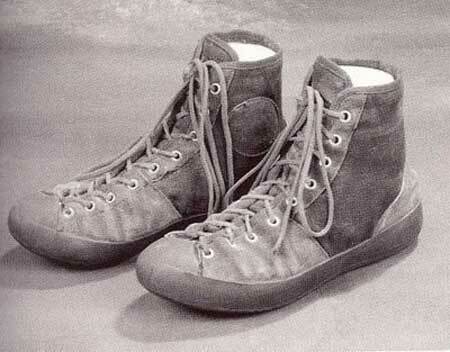 Limited by his shoes, he begins with a shoemaker to design a shoe specific for climbing: the PA. The duo began to provide a handful of climbers looking for better feelings. Edmond BOURDONNEAU, expert shoemaker, buys P. ALLAIN’s business. He keeps on manufacturing the climbing shoe that now wears the initials EB on a round piece of leather next to the malleolus. This is the first time a brand is put on a climbing shoe, a major turn in the history of “climbing” shoes. BOURDONNEAU shoe store is made of four rooms: a store at the front, in the back of the store Mrs. BOURDONNEAU is doing sewing, and there are two other rooms, one for cutting and one for mounting rubbers. EB makes his debut in the famous catalog “Au vieux Campeur” under the name “chausson d’escalade special Gratton”. The price is 47 francs. 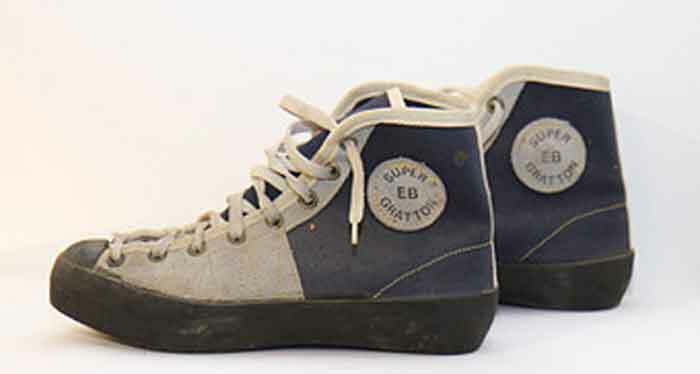 The EB model now wears the legendary name “Super Gratton”. It is in concurrence with two other French models from Rene DESMAISON and GALIBIER. The flagship EB model, the Super Gratton, becomes more and more popular in Fontainebleau, in cliff but also in long ways. 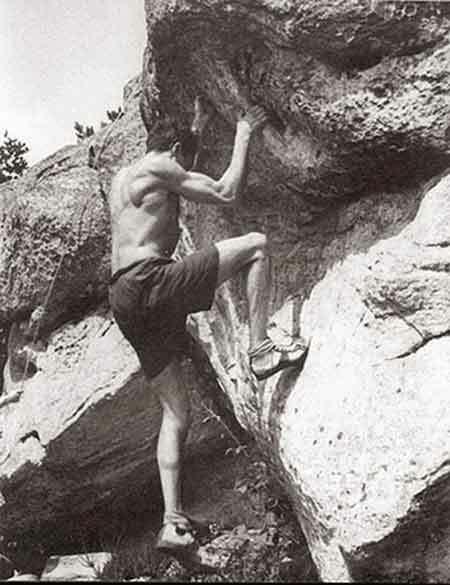 In the 70’s there is a significant increase in rock climbing all over the world. EB exports a lot, especially in UK and in the US, which makes beginner climbers pronounce EB the English way “ibiiz”. 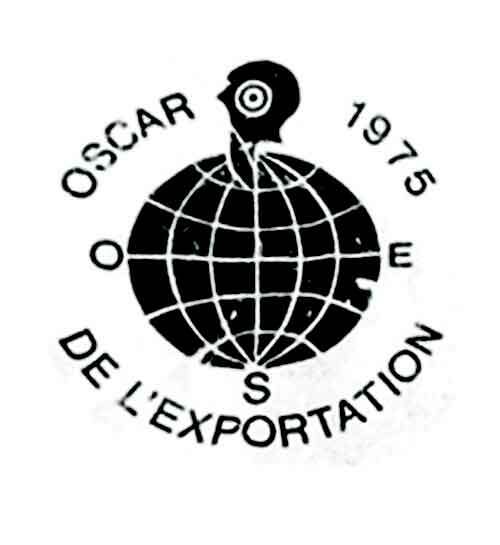 This success with their exports, allows the brand to win the price “les lauriers de l’exportation” twice. At that time EB is the world leader, recognized by every climber. 45 years later, the Super Gratton remains in a lot of climbers’ memories. Jean-Claude DROYER, who made free climbing popular, achieves the ascent of the Montparnasse tower in Paris using the Super Gratton. Edouard BOURDONNEAU calls him right after his performance to tell him that he is going to provide him shoes for life. A second product is launched with the help of Claude DROYER: the MESTRIA. Its success comes from its new 7mm thick sole, for the first time in resin rubber. Although the heel is more comfortable, it does not satisfy everyone. A new personality with charisma, Jean-Baptiste TRIBOUT joins the TEAM EB and participates in the new products design. The arrival of new Italian and Spanish competitors leads EB to build a complete range with of course the Supper Gratton, the Super MAESTRIA and the PASSION tested and approved by Mr. TRIBOUT himself. The end of the 80’s is not really good for the brand; however they will come back stronger at the beginning of the 90’s. Jean-Claude DELUBRIAC, a sport shoes subcontractor based in Dordogne specialized in shoes for boxing and golf discovers the sleeping brand EB. He buys the brand and works on this new product he does not master yet during his weekends. His skills acquired through a long experience in shoes allow him to design his first climbing shoes collections. In parallel, he develops his own production line next to Perigueux. His first client in Perigueux welcomes him with open arms and soon after is followed by retailers in Bordeaux. His appearance, couple years later in the “Vieux Campeur”, marks a turning point in this small company’s development. Jean-Claude DELUBRIAC will never forget his first meeting with two buyers and three sales advisors. The five hours meeting the most exhausting in his whole climbing shoes adventure. 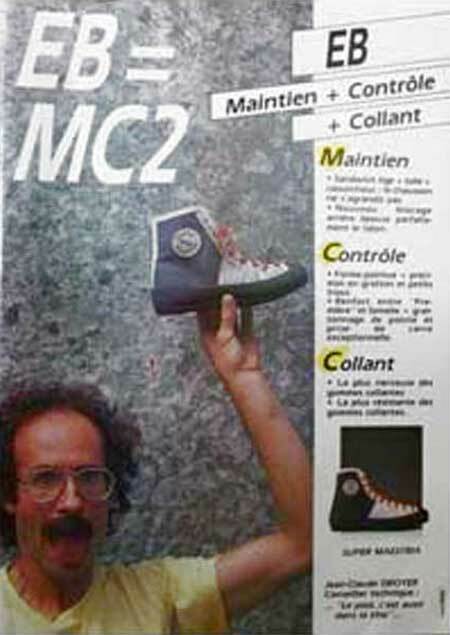 Jean-Claude, pugnacious, every second weekends goes on the different climbing competitions all over France. He ends up putting/engraving EB’s resurrection in people’s mind. EB starts to develop internationally. Belgium becomes its first exporting country. Scandinavian and neighboring countries follow just behind. EB starts working with sports chiropodists and thus the SYNTHESE model is born in September 1999. The second product coming from the project, the PROTO, comes out in 2000. In these studies, more technical and more powerful products are born. The production in the small factory reaches its limits and can’t follow the demand. The SME, Raoul LALET, a French shoe maker buys the EB company and names DELUBRIAC director. 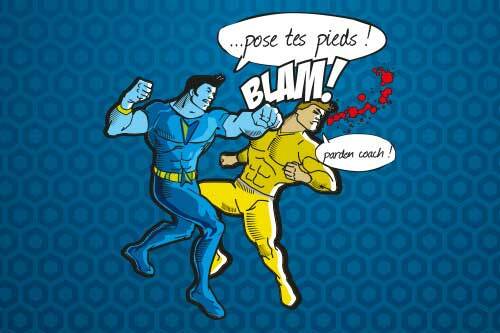 The ascent of the French shoe maker can now continue. Raoul LALET invests tens of thousands of euros in order to manufacture the first climbing shoes for beginners. It is a process of manufacturing rubber injection with high temperature ensuring the highest simplicity and comfort. 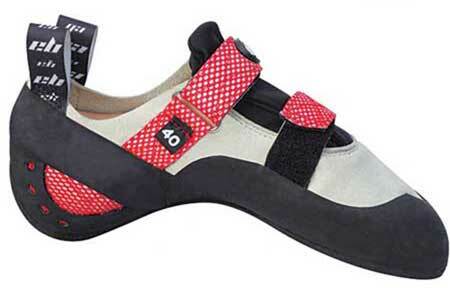 Those climbing shoes are especially made for introduction to climbing in gyms. Frederic TUSCAN joins the team EB. He works right away on the design of the WOLVERINE, a bestseller. 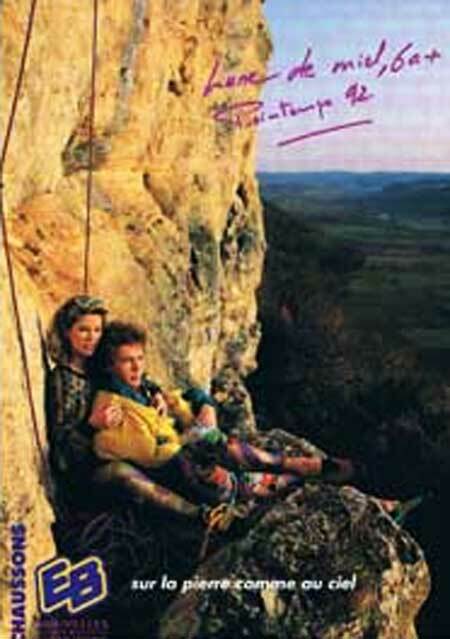 The best French climbers at that time, Stéphane JULIEN, Gerome POUVREA, Loic GAIDOZ, Juliette DANION, Charlotte DURIF, Michel FUSELIER and Florence PINET join the team EB. J-C DELUBRIAC retires in his beloved Perigord. He now focuses on another of his passion, horse riding. He left the company in Frederic TUSCAN’s hands who joins the Raoul LALET group. EB changes hands and enters 9A CLIMBING, a company created and owned by Frederic TUSCAN. The company designs, manufactures and distributes climbing shoes under the EB brand. EB, the first historical climbing shoes brand celebrates its 60 years and organizes a meeting EB ON ZE ROC at the famous Cimaï cliff in Toulon. The success encountered by the first edition led to a second edition, still at the Cimaï. The EB range of shoes, entirely renewed, repositions itself on the up-market. Therefore the AVATAR, a model focused on performance, is at the center of this new strategy. In parallel, 9A CLIMBING explores the groups market. Thus they create the first range of shoes designed specifically for groups who discover climbing at school, in clubs or in climbing gyms. This range of shoes is now under the name 6A. In order to face customers to its products, EB organizes a tour of climbing facilities named EB ON Ze ROAD. Climbers can try EB shoes and give feedbacks.